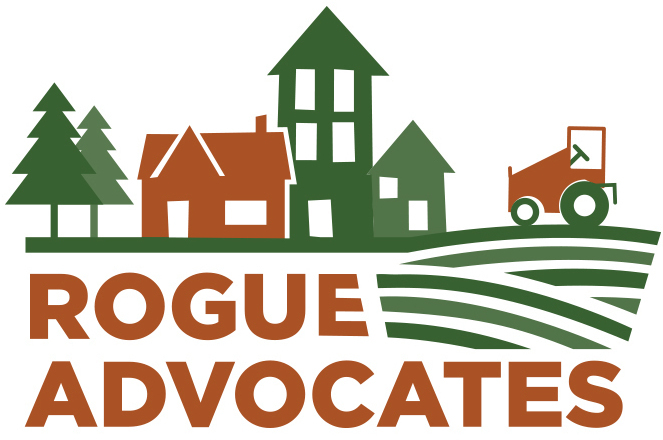 Rogue Advocates is happy to announce that Melissa Matthewson has joined the organization to further develop the organization’s capacity and resources. Melissa Matthewson comes with a wealth of experience to the organization, having spent the last five years working for Oregon State University. Melissa started the OSU Small Farms Program and nurtured the Farms Program from one to the current five staff members. She also brings experience working for a national nonprofit overseeing fundraising, outreach, board development, event coordination and will expand similar programs for Rogue Advocates. Melissa is also a co-owner of Barking Moon Farm, a local certified organic vegetable farm. I hope she is still with you now. What you are working for is something noble and just. I do hope you will get all the support you need. I am impressed by the quality of information on this website just like in superioressay.com/ . There are a lot of good resources here. I am sure I will visit this place again soon. So it will release the load from him because now he is working with executive director. A famous blog about rogue advocates hires new executive. I am new to your site. Found your sites truly interesting. I was just going through some of your posts. Got many things to know through your insights. Thanks for reaching out and sharing this with us. I have been waiting for someone to share this post. This has actually made me think and I hope to read more. It is good to heard that rogue advocates hiring new Executive Director which is good to promote their services in more better way by which they have to create new possibilities. That's Good that Rogue Advocates hires new director, and her good name is Melissa Matthewson. Such a stunning content you have shared with us. I got inspired after looking at your subject "Rogue Advocates Hires New Executive Director" which compel me more for staying here as well as keep reading it. http://correctessays.com discovers here and collects an amazing service from here. This article is written by very intelligent person because he/she put their all expertise in this content. now generate free starcoins and diamonds for the msp tool here. Wow! This is such a great news that Rouge Advocates hires the new executive director. It is great. These candidates are really intelligent and genius indeed. Their sense of humor is also very fast. Surveillance through satellite is now becoming culture now a days. The scientists of new and latest technology is promoting this culture among various other branches of the world. It is seriously amazing. thanks and visit http://www.i-a-i.com/products/forum/topic.asp?TOPIC_ID=3435 online. I need every point from this advocates hire website. The new executive director must have knowledge about rogue advocates when hiring them. The blog http://www.besstessays.net/ is using every important article from this website. Offering writing services at cheapest rates, outstanding discounts, and unmatched features. The time you did to research and write so well. I am very impressed with your vision and insight. Thanks fro taking time. Personalize printed labels suppliers from http://labelprintingsupplThe time you did to research and write so well. I am very impressed with your vision and insight. Thanks fro taking time. Thanks for the lovely information that you have shared with us. This is great. Reconnaissance through satellite is presently getting to be culture now a days. The researchers of new and most recent innovation is advancing this culture among different branches of the world. A companion has been asked by his dad with whom he has had almost no reach for many years to be a non administration overseer of one of the independent venture that he possesses. This is truly very appealing data and enlightening according to considering the use of it in this specific field. I like better <a href="http://miarroba.com/answerson">to</a> peruse this sort of stuff. Hello. Good post, but you can will see top "Executive Director" in this <a href="https://ranktopten.jimdo.com/">website</a>. Have nice day!